This idea came to me via my good friend, Amanda. She's so smart and thoughtful sometimes I forget what a sassypants she is. But sassy or not, this is a wonderful idea! And it is very simple. 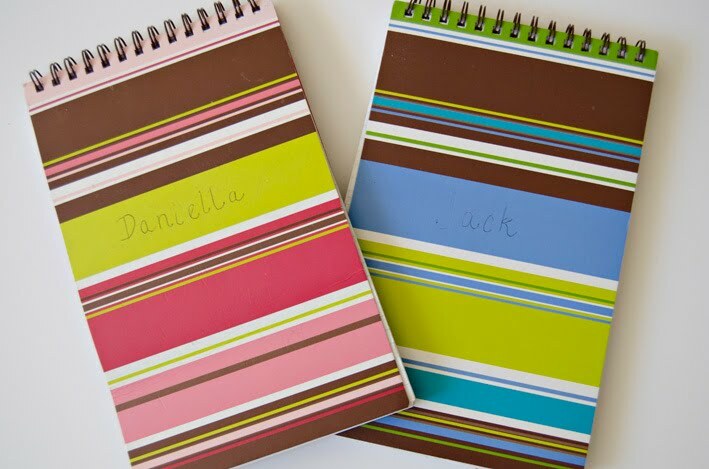 Get a notebook for each of your kiddos and start a love journal. 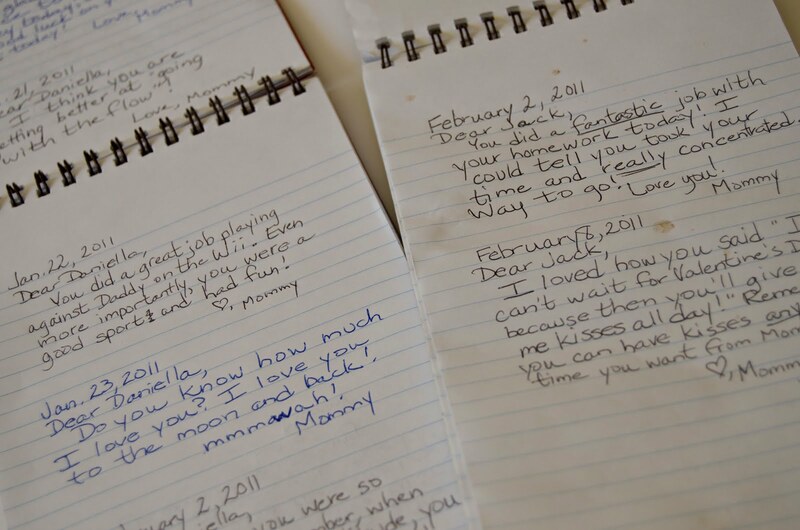 These are my kids' journals and I got them at Wal-Mart. Each night or every other night, you write something positive, funny or memorable from the day which specifically involves them. 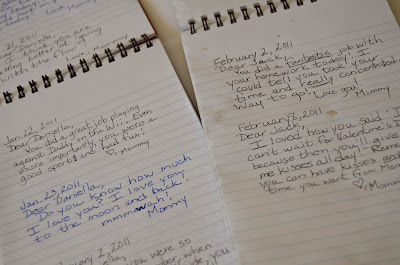 My kids like to read their notes at the breakfast table. You decide how much you want to write and how often. Even on a rough day, you can find one positive thing...and no, it shouldn't say "Finally, you went to bed." After on particularly rough day with our son, I reminded him in his notebook how his daddy and I had prayed to God for a child of our own and He ended up giving us him. I told him I say a thank you prayer to God every day for making him our son - even on tough days! This is important because Jack knows his story (of adoption) and he is as precious now as he was then. And it helped me put a whole new perspective on the day to come. I especially like this idea because their notes are organized in one area, it's a fabulous way to spread the love daily or often, they read back and laugh at some of the early notes and they have your handwriting. 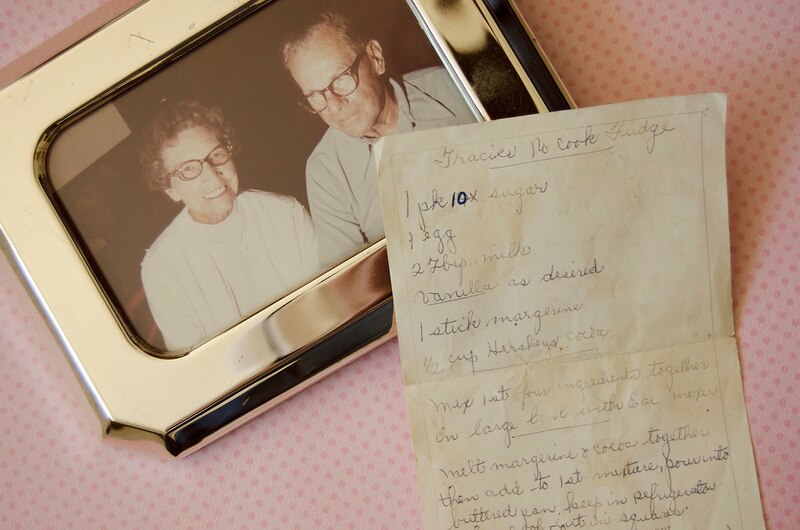 My mother recently found and gave to me a recipe of my grandmother's written in her handwriting. I can't even begin to tell you what a treasure it is. And it's perfect for a Valentine's treat! Mix sugar, egg, milk and vanilla together in a large bowl with a mixer. Melt butter and cocoa together. Add to bowl with first set of ingredients and stir together. Pour into a buttered or Pam sprayed pan. Keep in fridge and cut when cool. If you prefer peanut butter fudge, simply substitute 1/2 c. peanut butter for the cocoa. Thanks for visiting and Happy Valentine's Day! me,...sassy???? i have no idea what you are talking about.